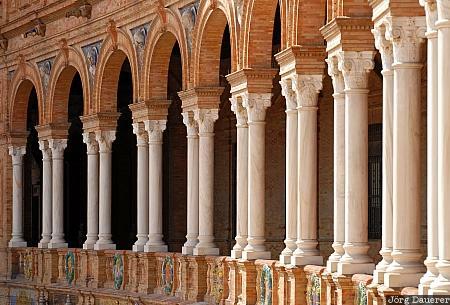 Columns of Plaza de Espana which was constructed for the Spanish-American Exhibition which Seville hosted in 1929, Andalusia, Spain. This photo was taken on a sunny day in March of 2008. This photo was taken with a digital camera.